University students are a reliable source from which we gather most of our world leading research. Students investigate real world problems, such as climate change, in order to help improve the lives of millions. 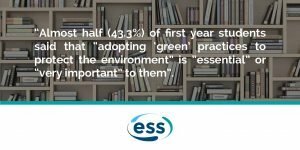 This is why it is crucial for Universities to understand the importance of sustainability, in order to help spread the word and practice what they preach. If your institute requires assistance in any of our services, we would love to help you improve your carbon footprint. We can help you set targets, assess your priorities as well as monitor usage trends. There is a record number (27.9%) of 18 year olds who are applying to and attending University. This not only adds to the institutions’ energy and resource costs, but it also encourages competition between universities. For this reason, there is constant pressure to provide the optimum learning facilities for students to benefit from, one main selling point being sustainability. According to research, there is a significant, and likely growing proportion of individuals that are making decisions about where to apply and attend – based on the sustainability performance of the campus. As a result, to date, 68 UK universities have now taken action in order to reduce or remove their investments in fossil fuels. Many are also looking to shift their investments into more sustainable industries, whereby institutions are now using their budgets to purchase eco-friendly tools. Higher education buildings provide students with the satisfaction that they are working together to help the environment. The University of California Davis evidently makes the cut due to it holding a Renewable Energy Anaerobic Digester. This product has the ability to convert 50 tons of waste into energy every day! Not only this, but the campus boasts energy-efficient housing, a student farm that is based in sustainable practices, plus hosts an annual Whole Earth Festival! The University make sure that they stay at a standard that ensures sustainability throughout all stages of the building development. From design through to post-occupancy, the UoN is committed to developing low carbon buildings. They make sure they minimise transportation during construction, use recycled materials, have low energy and water consumption, plus they enhance biodiversity! Each year, WUR measures its climate impact with the CO2 footprint. Similarly, many of their projects and university activities are involved within the fields of energy, waste and mobility in mind. This helps them to reduce their climate impact. The University of Connecticut encourages engagement programs that endorse and empower students to be part of the campus culture of sustainability. They raise awareness through campaigns and activities regarding recycling and composting. Not only this, they are pushed to use energy efficient modes of transportation, such as bikes and electric vehicles. The University of Oxford aims to reduce their environmental impact through sustainable procurement, recycling schemes, and the efficient management of energy, water and waste. 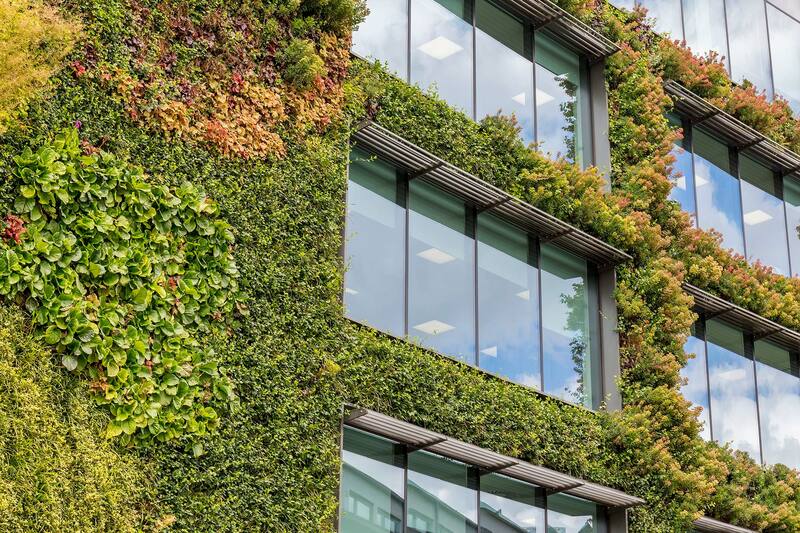 Recently, the University have also moved towards designing more eco-friendly buildings, including encouraging shuttle buses to link to their scientific sites. The UoO have installed their 2,000th solar panel and have agreed to a new biodiversity strategy. Read our ‘Schools vs Sustainability‘ article if you need any further tips on cutting costs… or better yet… contact us!